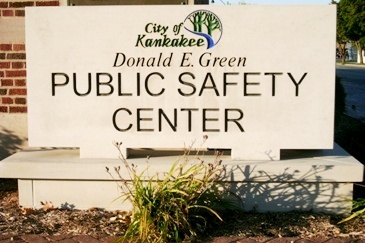 Also, if you can, please attend the Kankakee County Board meeting this Tuesday June 11, at 9:00 a.m. at 189 E. Court St., corner of Court and Schuyler, at the County administration building in Kankakee. The board room is on the 4th floor. Public comment is at the beginning of the meeting so you do not have to stay for more than 15 minutes. handily conceal those up to no good who have broken in. help getting the buyer a loan to make a house livable, the house can be occupied quickly. Cheap plywood has become the substitute for this kind of enlightened local government policy. A sensible plan is aimed at protecting a town’s tax base, keeping down the spread of crime, attracting people who will stay in town, and seeks to make the town a place that draws new productive residents. After WW II, Berlin had thousands of damaged buildings. Less than a decade later, thoughtful policies, the hard work of German citizens, intelligent financing and clear plan- ning changed Berlin into a showplace of the west. It’s time for a change: Because we deserve better. saving us wasted legal fees. by Tim Schmidt reprinted from Facebook with permission. On Tuesday, March 26, if you want to stop the insanity of Kankakee’s decline, join Team Porter as the candidates square off at the library at 6:30 for the mayoral forum. Then come down to Kankakee River North (former Sully’s) where 2nd congressional district nominee, Robin Kelly will be taking questions. It’s time for a change. Because we deserve better. Spent a couple of hours at a rally for Democratic candidate Myron Porter. Good mix of people. Elected officials, candidates, state office holders and concerned citizens determined to make a change and get Kankakee back on track. Meanwhile, in the Republican camp we see the RTA is suing the city again for withholding information a judge has determined they have to disclose, but not these guys. And the lawyers keep on winning. Nearly $500,000 of your tax dollars on a fight Mayor Epstein caused. Is your ComEd bill 48% less this year? The Kankakee Mayor claims your ComEd bill decreased 48% (read it here) because of her leadership. Last fall, the City of Kankakee changed to a different electricity supplier, FirstEnergy Solutions.